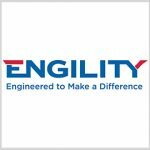 Engility will host an event Wednesday, May 17, in Chantilly, Virginia, as part of an annual campaign in which company employees raise funds to help Building Homes for Heroes retrofit or construct a new house for a disabled veteran. 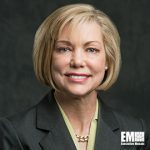 Lynn Dugle, Engility CEO and an inductee into Executive Mosaic’s Wash100 for 2017, will attend the picnic event that will present U.S. Marine Corps Sgt. Kirstie Ennis as this year’s hero, the company said. Engility will announce Wednesday the total amount of donations raised at the event. The Virginia-based defense contractor made a $36,600 donation to Gunnery Sgt. Christopher Claude, an Iraq war veteran, in 2016 through the organization. Founded in 2006, Building Homes for Heroes is a nonprofit organization that works to provide wounded veterans mortgage-free houses designed to help them deal with physical challenges associated with their disabilities.